As people move, downsize and acquire recreational vehicles, they need a place to store their stuff. 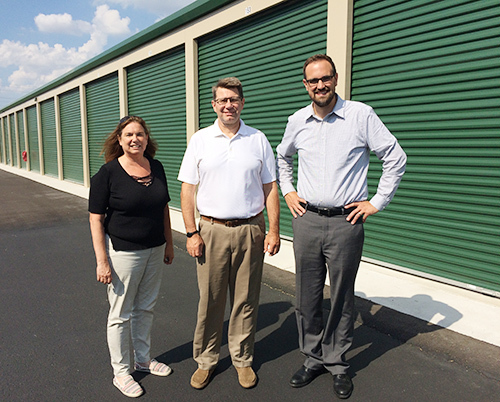 Dean Koopman, co-owner of A-1 36th Street Self-Storage along with his wife Janice, has solved these types of storage problems in Grand Rapids for 12 years. Two years ago, demand was climbing higher and Dean saw an opportunity to expand his business. In order to expand, though, Dean needed a loan. Through conversations with Consumers Business Development Manager Jeremy Prins, Dean learned the Credit Union would finance 80 percent of the project and allow him to count existing equity in the business as part of his 20 percent. With financing in place, Dean expanded his storage business by 30 percent. The last of the buildings were completed in December 2016. Dean says the loan process flowed smoothly, and he found the Consumers team to be very responsive. Dean has since moved the majority of his banking over to Consumers, including his business checking and savings accounts. He and Janice have also moved their personal checking and savings accounts to the credit union. We’re so proud to have A-1 36th Street Self-Storage as part of the Consumers family. If you’re a business owner who’d like to bank with a team who cares about your business as much as you do, call us at 800-991-2221. We’re here to help you grow your business!